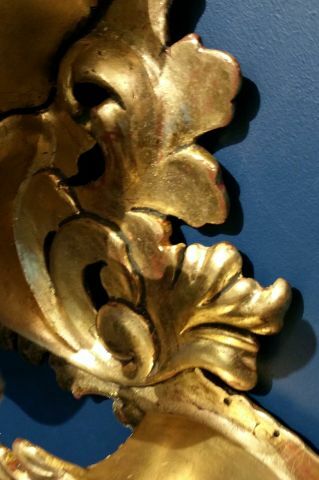 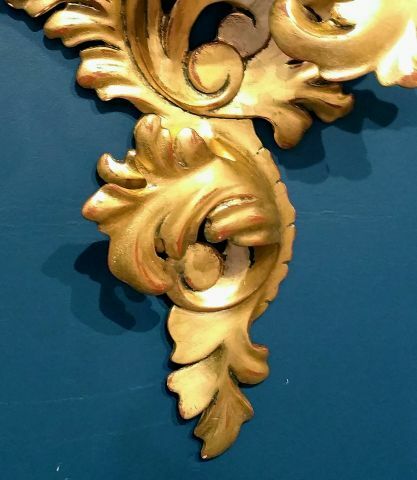 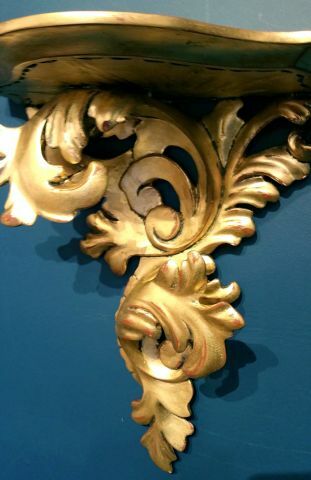 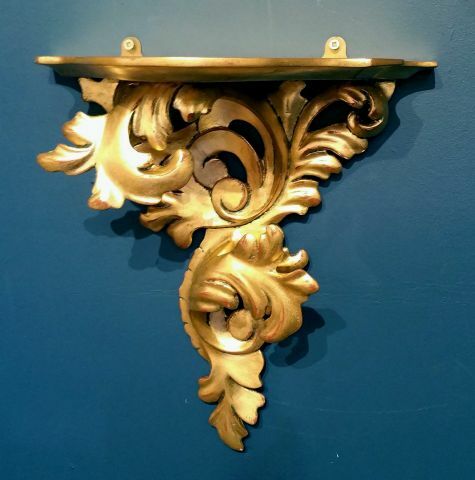 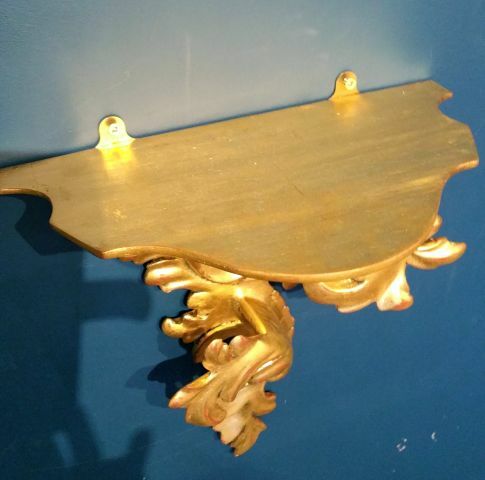 These lovely shelves are gilt wood and shaped in a decorative curled scroll design. 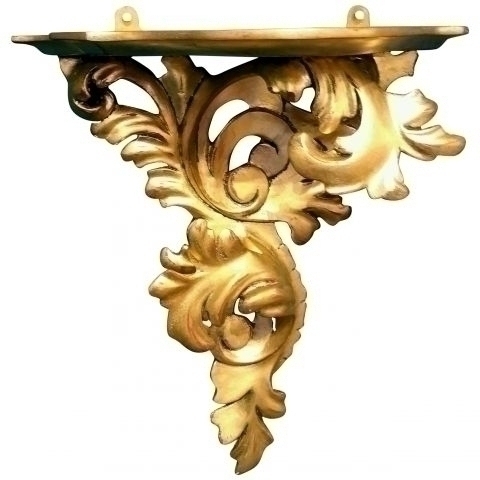 Each shelf measures 12 3/8 in � 31.5 cm wide, 13 3/8 in � 34 cm high and 7 � in � 18.5 cm in depth. 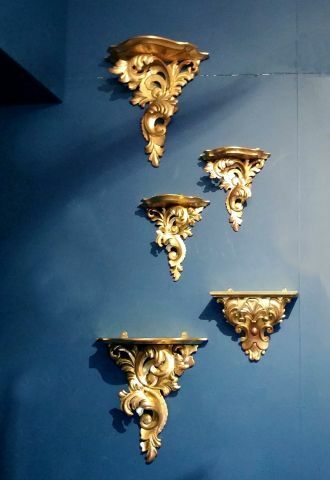 These shelves would make a functional as well as attractive accent piece for many different rooms in the home.